Meet Dr. Barbara Ross-Lee, Diana Ross's sister. Barbara Ross-Lee, D.O., has worked in private practice, for the U.S. Public Health Service, and on numerous committees, and in 1993 was the first African American woman to be appointed dean of a United States medical school. Born in Detroit, Michigan, and raised in a housing project, Barbara Ross-Lee faced discrimination as a young African American woman. Growing up in inner city Detroit, she and her sister shared a fondness for show business, performing with their brothers and sisters in the church choir. 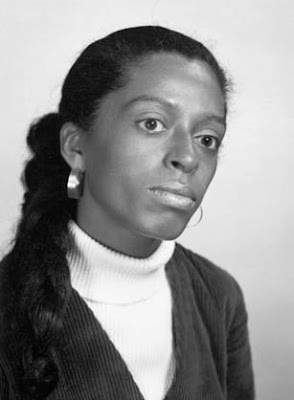 But while Diana Ross pursued a career in music that led her from urban poverty to celebrity as the lead singer of the "Supremes," Barbara Ross made her mark in the sciences. Barbara Ross began her pre-medical studies at Detroit's Wayne State University in 1960, during the growth of the Civil Rights movement. Although a few medical schools offered admission to minority students there were no federal or private funding to help support students from poor families. At Wayne State, her pre-medical advisor did not believe women should be physicians, and so she declined to authorize Ross's request to study human anatomy as her major. Ross graduated with a bachelor of science degree in biology and chemistry in 1965 and, abandoning her original goal of practicing medicine went on to train as a teacher. She joined the National Teacher Corps, a federal program, in which she could earn a degree while teaching simultaneously in the Detroit public school system. After completing the program in 1969, a new educational opportunity arose. Michigan State University opened a school of osteopathic medicine in Pontiac, a Detroit suburb, and so Ross applied and was accepted. As a single mother she needed help with childcare to be able to focus on her studies, so she sold her house and moved in with her own mother. After graduating from the Michigan State University College of Osteopathic Medicine in 1973, Dr. Ross-Lee ran a solo family practice in Detroit until 1984, when she joined the U.S. Department of Health and Human Services as a consultant on education in the health professions. In 1993, Ross-Lee became the first African American woman dean of a United States medical school. She remained dean of the College of Osteopathic Medicine of Ohio University until 2001. During her tenure there, she reformulated the entire course of study, and drafted a women's curriculum, earning a reputation as a "change agent." "It is my goal," she said, "to establish a seamless continuum of education rather than all of the fragments that we have now; to be able to incorporate learning strategies as opposed to the old memorize-and-regurgitate methodology; and to train a physician who is just not technically skilled but who is also capable of being responsible and accountable for the health status of the person he or she treats." For Barbara Ross-Lee, medical education is a collaborative enterprise between teachers and students, which, in turn, influences the interaction between doctors and patients. In 2001, Dr. Ross-Lee was appointed vice president for Health Sciences and Medical Affairs at the New York Institute of Technology, and in 2002, she became dean of the New York Institute of Technology's New York College of Osteopathic Medicine. This article and photo are from the National Library of Science, Changing the Face of Medicine and are used in accordance with NLS copyright. WoW! Thank-you for this post! I see you were as shocked as I was. And very pleased. Thanks for the comment.